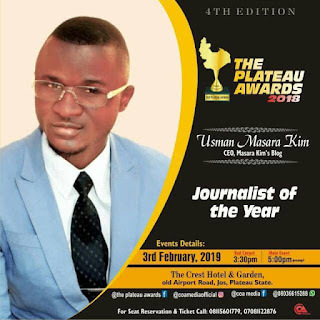 Controversial news blogger and journalist, Mr. Masara Kim has been listed for the 2018 Journalist of the year award in the 4th edition of the Plateau Awards holding January 2019. Kim, a public affairs analyst, photojournalist and cinematographer has been listed alongside two of his senior colleagues and acclaimed mentors Mr. Abraham Tonjin of Plateau Radio Television Corporation and Mr. Yemi Kosoko of Channels TV. Also on the list are Mr. Funom Joshua of TV Continental, Mrs. Martha Azi Asama of News Agency of Nigeria and recently detained Mr. Friday Olokoh of Punch newspaper. The award nominations released, Wednesday by the organizers of the event, COA media also show Rhythm FM, Peace FM, Unity FM, KT FM and Jay FM all in Jos making the radio station of the year category. 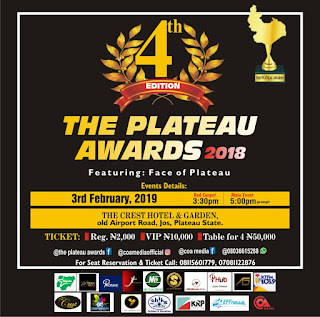 One time winner of the award, Plateau News Online has again been listed for the print media of the year award. Appearing on the list along with PNO are The Beacon, Reality Newspaper, Nigerian Standard and The Rescue Messenger. Also on the list are National Agenda, The Headline, National Rescue, Grassroot News and Factfile News. Records show that Masara Kim has directly or indirectly worked with all of the above radio and newspaper outfits. He is believed to have started his career as a Public Affairs Analyst in Peace FM, from where he began writing for the Radio Nigeria national network news. Since joining the journalism profession in 2008 as a reporter for The Voice newspaper in Makurdi, Benue State, Masara Kim has been reputed for investigative journalism and risky conflict reporting. 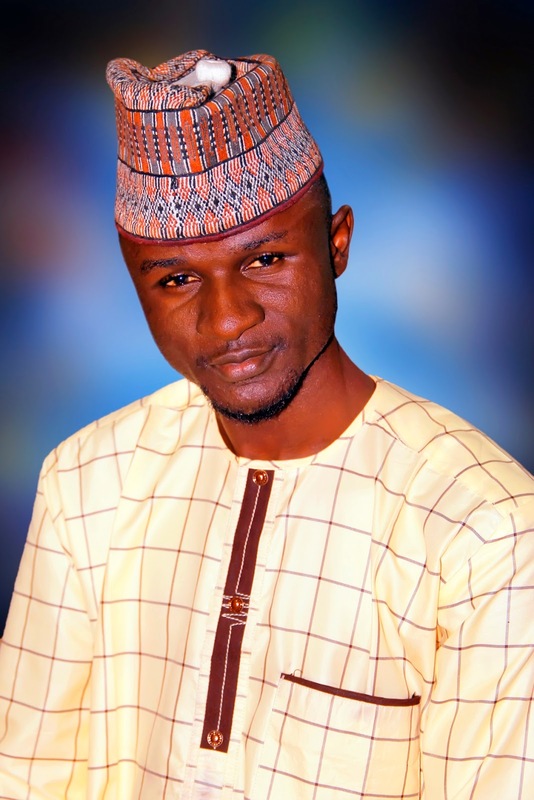 He was in 2011 bundled to be buried alive along with two of his colleagues while on a conflict reporting assignment in an attacked community in the outskirts of Jos. Kim who reports for The Light Bearer newspaper, a faith based publication headquartered in Jos the Plateau State capital also bore the risk of visiting the Sambisa forest, Chibok and other Boko Haram ridden parts of Borno State in June 2017. That was barely a year after he was attacked, brutalized and his camera seized by government securities while covering a protest at the Plateau State Government House in Jos. On 23rd June this year, Kim was ambushed along with dozens of others while returning from a funeral in Gashish village, in Plateau's Barkin Ladi LGA, on the eve of the attacks that left over 200 people dead. Kim, the Publisher of https://mkreporters.media and Masarakim.blogspot.com had taken advantage of the funeral to cover the unreported cases of isolated attacks that had become daily occurrences in the area. He had reported many of the incidences but chose to go down and see things for himself when he was attacked. At least six people died in that ambush, with another six including a man on the same car with Kim sustaining gunshot injuries. He is however said to have nominated different people for the same award he has been listed for. "I'm surprised my name appears instead," Kim said in a public WhatsApp chat. 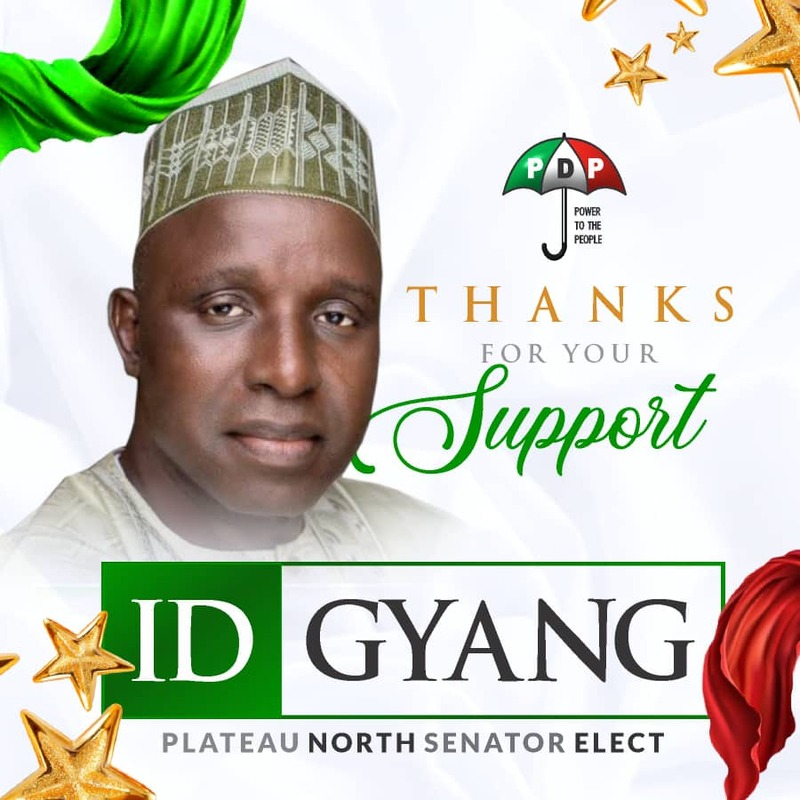 He has however refused publicizing the nomination, expecting to be promoted and voted (on http://coamedia.com.ng/4th-edition-the-plateau-awards-2018/) only on merit. * Sir Joseph .N. Ari (KSM). 2. 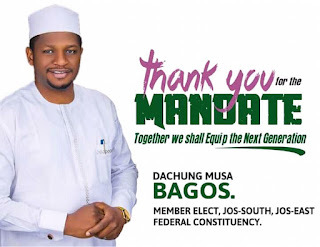 *OUTSTANDING POLITICAL PERSONALITY OF THE YEAR*. * Rt. Hon. Barr. Simon Bako Lalong. * Hon. Barr. I.D Gyang. 5. *OUTSTANDING COMMISSIONER OF THE YEAR*. * Hon. Alh. Gayabu Garga. 9. *Fashion & Style of the Year*. 10. *BEST HOTEL & HOSPITALITY OF THE YEAR*. * The Crest Hotel & Garden. 16. *PRINT MEDIA OF THE YEAR*. 17. *JOURNALIST OF THE YEAR*. * David king – Rhythm. * Lukman Bello – Unity. * Nansat Gunin – Peace FM. * Gogwin Delmwa – KTFM..
* Andrew Gogwin Unity FM. 20. *FILM MAKER OF THE YEAR*. 23. *MOST OUTSTANDING PHOTOGRAPHER OF THE YEAR*. 24. *DANCE CREW OF THE YEAR*. 25. *ARTIST OF THE YEAR*. 26. *BEST GRAPHIC DESIGNER OF THE YEAR*. * Jos Hip Hop Festival. 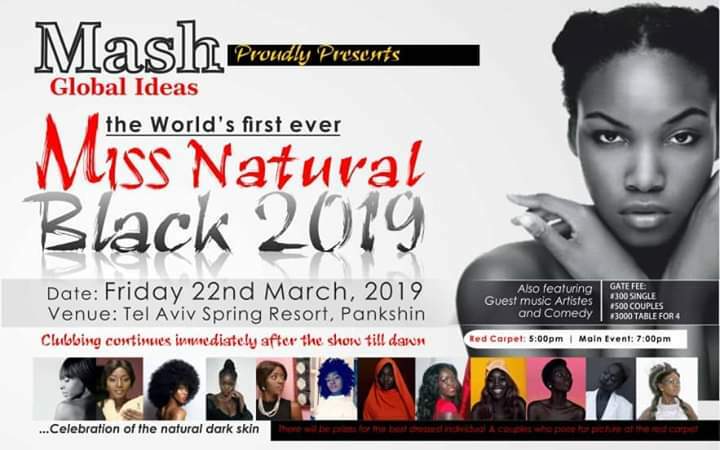 *Venue*: The Crest Hotel & Garden, Old Airport Road Jos, Plateau State.